Kuman Tong Chao Sua Noi (Wealthy Boy) is fashioned in the form of a young boy, sitting naked, with a bag of treasure in his hand, which he is waiting to give to whoever looks after him. 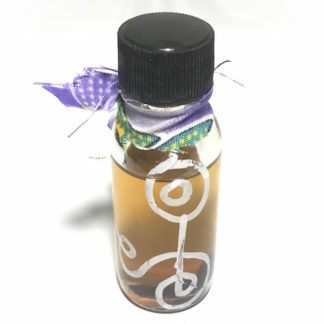 The Kuman Tong is immersed in Sacred Necromantic Prai Oils and Nam Man Wan Dork Tong Golden Flower Oil, to Imbue it with Maha Sanaeh and Metta Mahaniyom, and Charge up the Power within the Kuman Tong. 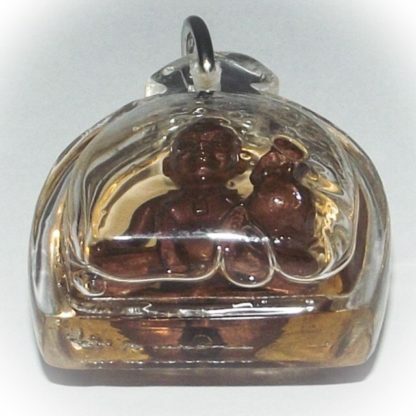 Kuman Chao Sua Noi Wealthy Boy Ghost Amulet with Treasure Sack to give to who takes care of him. 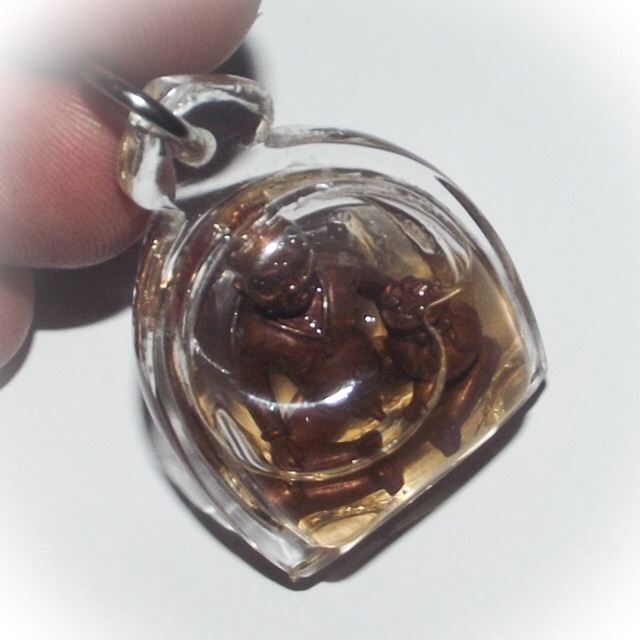 Filled with Maha Phuudt Necromantic Prai Powders, and soaked in Nam Man Prai Oil Potion, to Charge with Maha Lap Maha Pokasap and Maha Sanaeh Power. 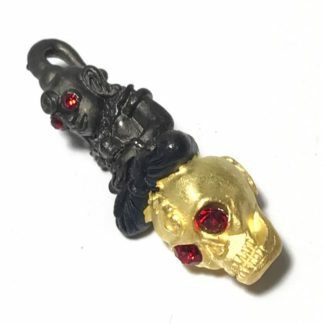 This type of Kuman is commanded to increase Wealth and Lucky Fortunes, and forewarn of danger. Protect the household and its treasures, and to help improve business. 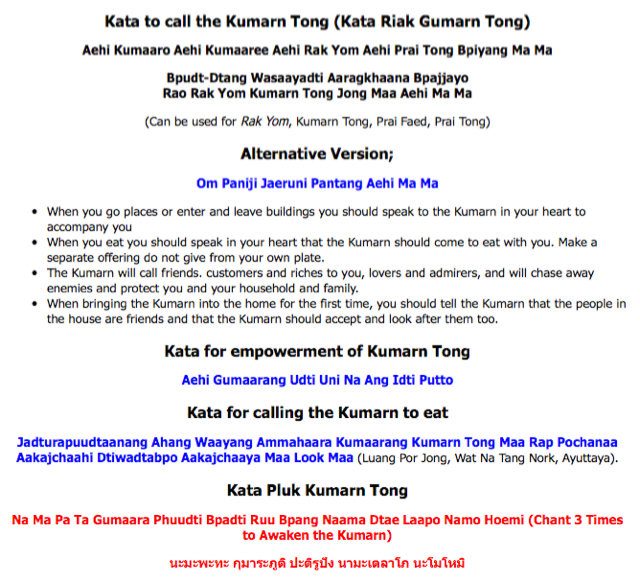 Empowered with Incantations and Necromantic Invocations of the Kuman Tong, with The full formula of Invocations for the Kata Akarn Sam Sip Sorng were performed for reanimation of the spirit within the effigy. 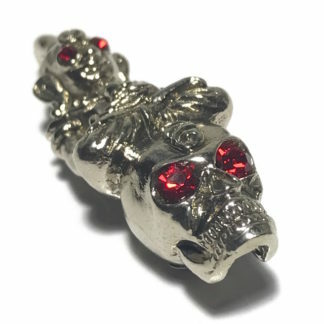 This is an essential part of Necromantic Empowerment with all Humanoid and Animal form amulets which are imbued with a resident spirit. The Piti Riak Tat 4, Pluk Tat 4, and Hnun Tat 4 rituals were performed, to reanimate the 4 elements within the effigy. This was followed by the Nibbana Sutta. 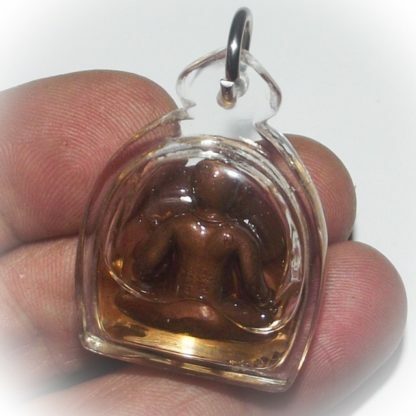 A whole 3 Months Trimester (Traimas) was given to Empower these Kuman Tong Amulets from Ajarn Wirataep Yan Kroo Prasit – popular with lottery players, traders, gamblers. The Kuman Tong is filled with Pong Maha Phuudt, which is doubly empowered through the insertion of a Takrut Jaedta Phuudt, which was empowered with 1,000 Mantras and spells cast first forwards, and then cast once more backwards. 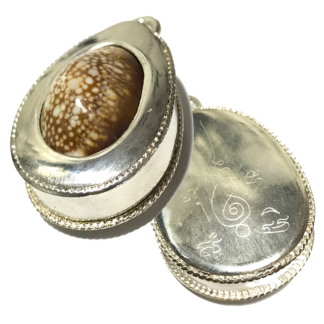 Each Takrut within the Kuman was hand rolled with Incantations and extreme Meditative Focus, to cast protective Spells to prevent entropy of the Wicha contained within the Takrut, the Nam Man Prai, and the Kuman Tong. This was where the 4 Elements were invoked, awoken and reanimated with Kata Akom, before the Akarn 32 could be performed to reanimate the Kuman Tong. The Akarn 32 was performed after the Takrut and Maha Phuudt Powders were inserted, bringing the bone, skin, and other elements of the funerla earths and ashes of the Pong Maha Phuudt, to bring life to the Kuman Tong through Invocation. 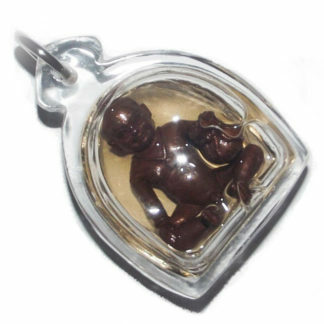 The Kuman Chao Sua Noi was imbued with air, for breath, and fire for body temperature, earth for his physical parts, and water for his fluid elements, blood and mucous. Ajarn Wirataep then invoked the minds of the Kuman Devas from the Celestial Realms, who are unborn, but seeking an outlet to make merit, and called them to inhabit and dwell within the effigies. Ajarn Wirataep is the Looksit of Luang Phu Tao of Wat Khao Grating (Lopburi). 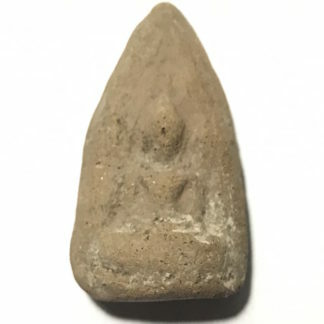 Luang Phu was responsible for training him in the use of Magic for riches, as well as the powerful methods of empowerment, such as the Kata dern Taat (make the elements flow) and be inserted into objects. He learned how to master many Wicha with Luang Phu Tao, including the practice of ‘Lob Pong’ (writing sacred spells and wiping the chalk off the board by writing more spells on top. 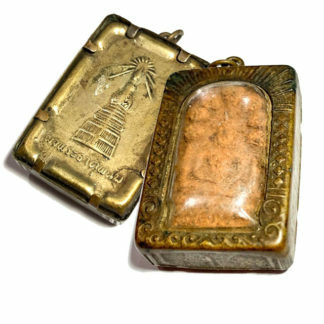 The powder chalk which remains is then used for amulets). Before that, he already practiced and studied Saiyasart (Thai magic) with Luang Phu, who was a Master of Prai oils and Maha Sanaeh magic. From his practice in the forest he learned to speak with the ‘Jao Tee’ (local Devas) and get them to help him to lessen the sufferings of his Looksit with powerful amulets and blessings. 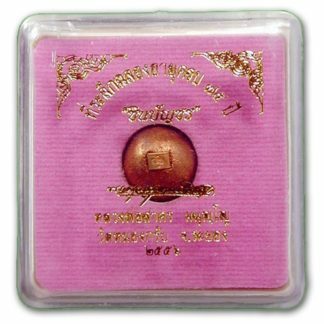 Released in the ‘Ruam Bun’ Edition to raise funds and make merits for the construction at the temple of Wat Samran Rasadorn Samakee, in Paetchaburn.